Children's Angel Catcher Sympathy Journal. Angel Catcher for Kids offers a healthy way for a child to cope with the painful and often confusing process of grieving. Designed to help a child overcome the loss of a loved one, this journal also invites the child to record precious memories of the special person who has died. With plenty of space for drawings because sometimes it is easier to draw feelings than find the words to describe them and an envelope to keep special things. Angel Catcher for Kids will help a child to catch-and hold-an angel. 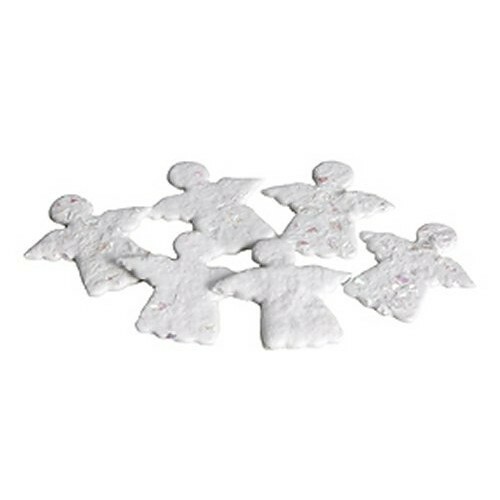 Angel Seed Paper Plantables. A beautiful way to remember and give back to the earth. These beautiful angel shaped seed papers are handmade in the USA from 100% natural, biodegradable and recycled fibers, delphinium seeds and plant material. Six angels are packaged in a clear poly bag along with full planting instructions and this beautiful poem. "When you lose someone you love, you gain an angel you know" ~Unknown. 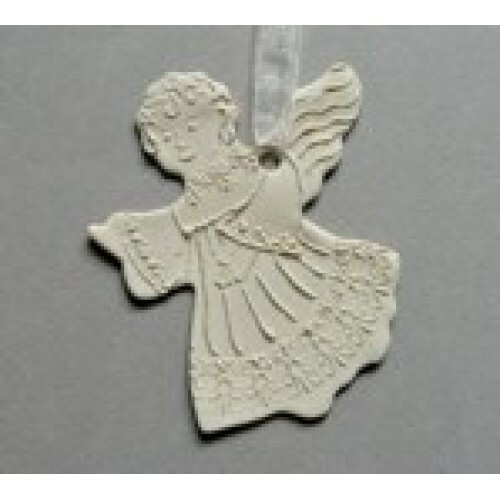 Individual angels measure approx 2 x 2 inches. 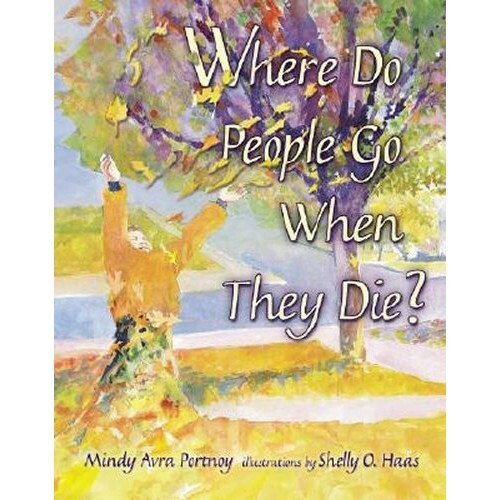 Where Do People Go When They Die? by Mindy Avra Portnoy, illustrated by Shelly O. Haas. This is my absolute favorite elementary school age sympathy book. Young children ask adults this question, and although each reassuring answer is different, they all lead back to the same simple truth: When people die, "they go to God. Who is everywhere." Just some of the answers to the question, where do people go when they die? They go to heaven, a place of peace. They watch over us from there. They go into our memories and our stories about them. They become part of our minds, they become the past. They go into our hearts.. They are with us when we cry and when we laugh. The illustrations are charming, thoughtful and inviting. This book also includes an excellent afterword with advice on how to speak about death with children and suggestions all parents will find useful. Ages: 3-8 Grades: PreK-3. Hardback: 24 Pages; Dimensions: 7" x 9"
Butterfly stone. 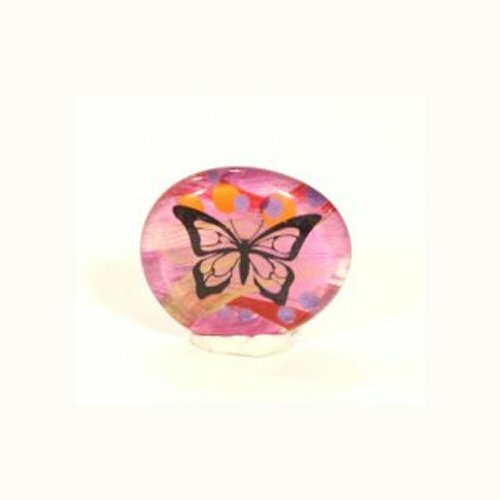 This smooth glass hand made stone measures just 1.5 inches across. It's substantial enough to hold or grasp in the palm of your hand. To squeeze for comfort and support at the most difficult of times. It will also be a link to the person who sent it to you. A bond. It comes with the following quote.